It may be only four miles from Dulverton to Hawkridge, but that’s quite a hike just to get to the post office. Hawkridge used to have its own office. Sadly that was closed in 2007. 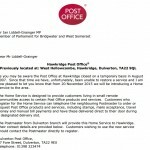 But after a lot of campaigning the powers that be have relented and are extending their “home service” from Dulverton. 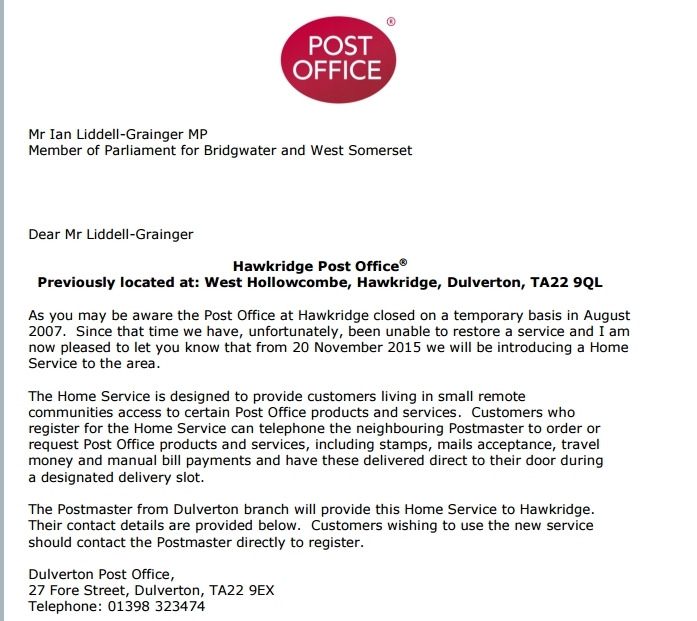 If you live in or near Hawkridge you will need to register by contacting the postmaster at Dulverton (you can ring them on 01398 323474). After which a whole range of services, including banking, can come rolling into the village. It may not be quite as good as a local post office and it has taken an awful lot of persuading but it is a great improvement and worth celebrating.